New Zealand singer-songwriter Lorde has revealed that she now has Croatian citizenship. The 20-year-old Grammy Award-winning singer told American comedian Marc Maron about her new citizenship while recording an episode for his WTF podcast. “My mother is Croatian — there are actually like a 100,000 Croats in New Zealand and lots of them have been there for a long time. There is a lot of wine [in New Zealand], the Dalmatians drink a lot of wine down there. So yeah, I'm Croatian, I got Croatian citizenship,” said the young star, whose father is New Zealand-born but has Irish heritage. Lorde believes fame did her no harm on her path to citizenship. “I am a bit of a fancy, famous Croatian. I think not every Croatian gets that, they hooked me up so to speak,” she told Maron. 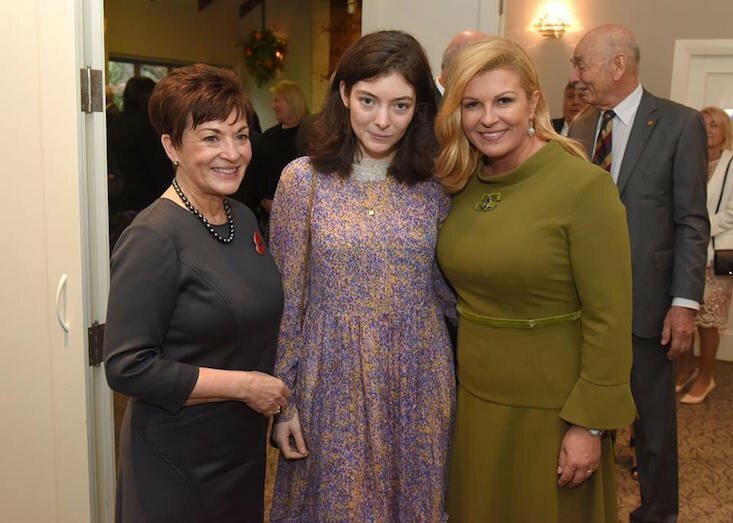 Lorde, whose real name is Ella Marija Lani Yelich-O'Connor, got a chance to meet Croatian President Kolinda Grabar-Kitarović on her visit to New Zealand last month. The Croatian politician later praised the singer and posted a photo of their meeting on Facebook.